Few things are as disgusting or as damaging to a house as termite infestation. Dry-wood termites feed on the walls and foundations of your home, and need to be stopped as quickly as they're discovered to prevent serious damage from taking place. While it's a good idea to inspect for termites as soon as termites are present in the neighborhood—and it may be wise to call for home inspection services in Atlanta, GA—you should be aware of the signs of termites should they decide to move into your home. One of the clearest signs of termites is a quiet clicking sound coming from the walls. 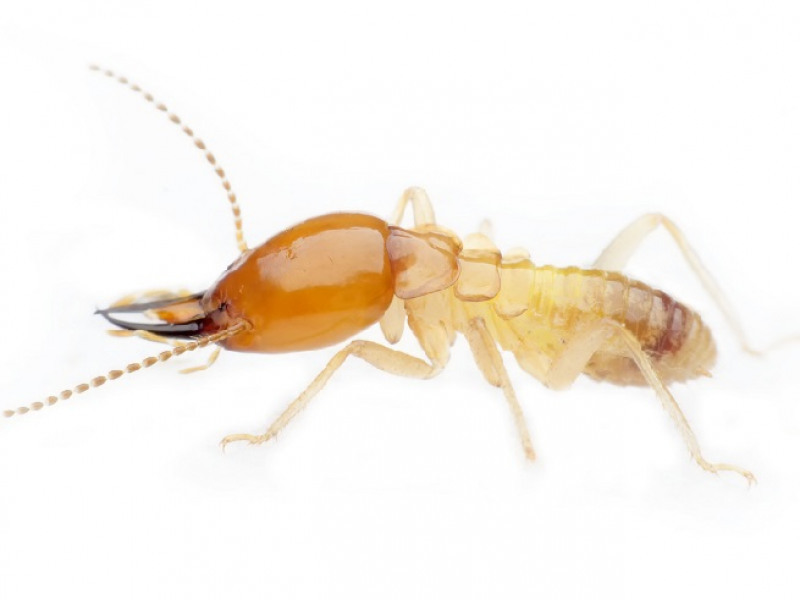 When soldier termites are alarmed and need to send a signal to the other termites, they'll bang their heads or shake violently, and this emits that weird clicking sound. Also, the worker termites, the ones who do the eating, are loud eaters. If you have an infestation, you can place your ear to the wall and hear the sounds of them dining on your house. Usually the first sign of the presence of termites are flying termites known as swarmers or alates. Periodically, some of the male and female members of a colony will leave their nest to fly away and form a new colony. Often these flying termites swarm at night and can be found buzzing around light sources. Even if you never see the termites, you might spot termite wings. That's because swarmers shed their wings quickly after mating, and are likely holed up somewhere starting a new colony. Some types of termites look almost exactly like ants, except they're white. Since ants are never white, if you see what looks like a white ant, it's probably termite. Besides color, another way to tell the difference is termites are thicker in the middle than ants. The spot where the abdomen and thorax meet on an ant is very thin, whereas termites are comparatively big in that area. As you may know, termites eat wood from the inside out. That's why if you've ever encountered a piece of fence eaten by termites, you might notice that while the exterior looks fairly whole, it can be broken apart very easily. 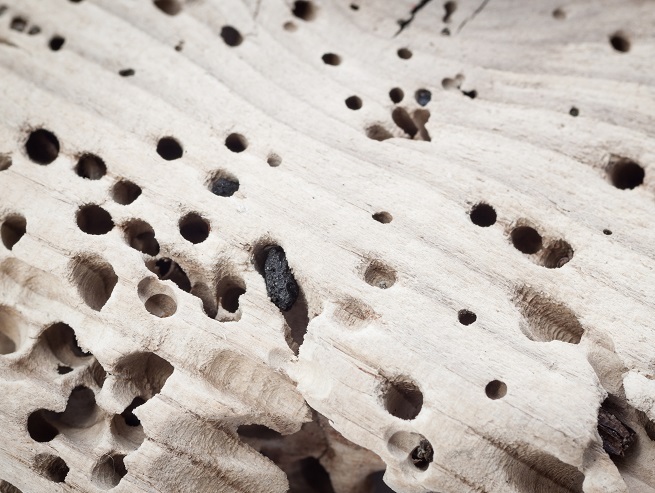 If any wooden part of your house sounds hollow, you should check for termites immediately. When termites dine on wood, they produce moisture. That moisture can cause warping, so if you notice your windows or door suddenly seem tight fitting, or aren't closing properly, this could be the result of termites. One of the first things a termite inspector will look for is signs of frass, or termite droppings. Termites will push their droppings out of small holes near the entrance to their nests. This frass can be spotted by inspectors as black marks or a powdery substance. If you've noticed one or more of these signs in your house, there's no reason to despair. Call Inspect All Atlanta, the home inspection specialists in Atlanta, GA, and they'll send help ASAP.